McKinney, Texas is the county seat of Collin County, north Texas, located approximately 30 miles north of Dallas, accessed by US-75. The Census Bureau listed McKinney as the nation's fastest growing city from 2000 to 2003 and again in 2006, among cities with more than 50,000 people. 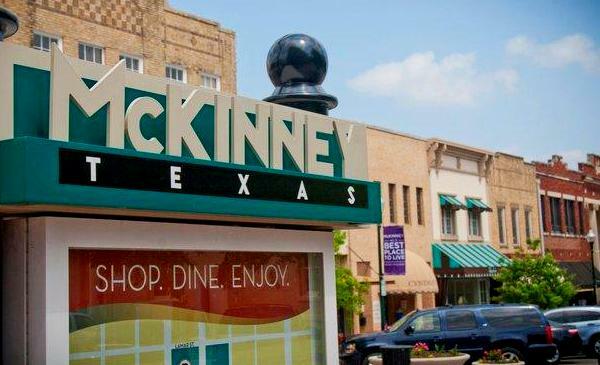 In 2014 McKinney Ranked #1 on the Best Places to Live in America list issued by Money Magazine, and In 2012, McKinney ranked #2 on the list. The Pete and Nancy Huff Air Traffic Control Tower at McKinney National Airport was awarded the 2015 Facility of the Year by Robinson Aviation (RVA) Inc. for its significant contributions to the safety and efficiency of the National Airspace System. The tower at McKinney National Airport was also recognized by Pilots' Choice Awards as the #1 air traffic control tower in the country in 2014 and 2015. Get The Home Search App and See Home Listings Around You! McKinney Independent School District is among the fastest growing school districts in Texas, currently enrolling over 24,500 students in 20 elementary schools, five middle schools, three high schools, an alternative campus and one early childhood education school. Updated: 22nd April, 2019 12:31 PM.